Pet Greens Jerky Dog Treats Savory Beef are made with 90% real meat and organic wheat grass, which provides green nutrients to help curb chewing on chemically treated grass. These healthy morsels deliver a tasty reward for sitting up, rolling over, or just being lovable. You can give in to those big puppy-dog eyes without feeling guilty! Ingredients: Beef, Dried Chicory Root, Ground Wheat Grass Powder, Lecithin, Salt, Cultured Whey, Garlic, Preserved with Mixed Tocopherols. Feed to your dog as a healthy reward or supplemental treat. Intended for intermittent feeding only. 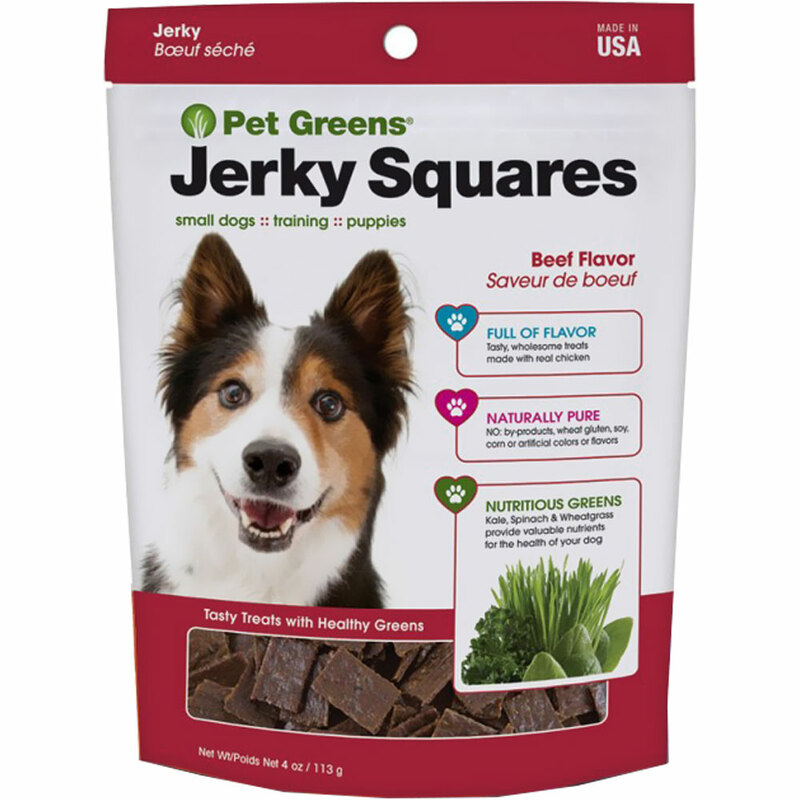 Please see review about Pet Greens Jerky Dog Treats Chicken. Review and Comments are the same. 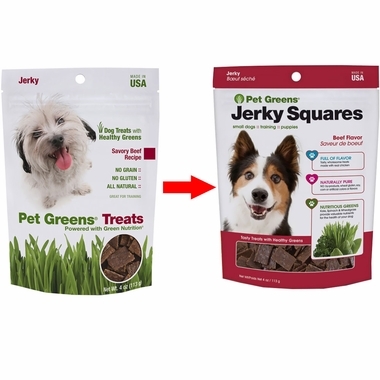 Dogs love these treats. Not carried in local pet stores so have to purchased them from you. Please don't ever stop carrying this product. Don't know how I could tell the dog that her favorite treats are no longer available. Always have to have a supply ready. Can't risk running out!!!!! !